Yesterday I finished off two more of my mythpunk short stories, so now I’ve a total of six short stories. I keep referring to them as my ‘mythpunk anthology’ even though I’ve no plan to make an anthology of them just yet. You may be asking right now, what is mythpunk? To be honest, I’d never heard of the genre ‘mythpunk’ before reading Chuck Wendig’s flash fiction challenge a month (or so) ago – though I have noticed a fondness out there for ‘punking’ eg/ steampunk and dieselpunk, both of which are awesome. Mythpunk is apparently what I have been writing recently in my short stories, Groundskeeper, Charming, The Wyvern’s Sting and The Troll’s Toll. Mythpunk is a form of speculative fiction which takes elements of myths, fairy tales, and folk tales and mixes them with more modern ideas, like feminism and multiculturalism or twisting it in an unusual direction. 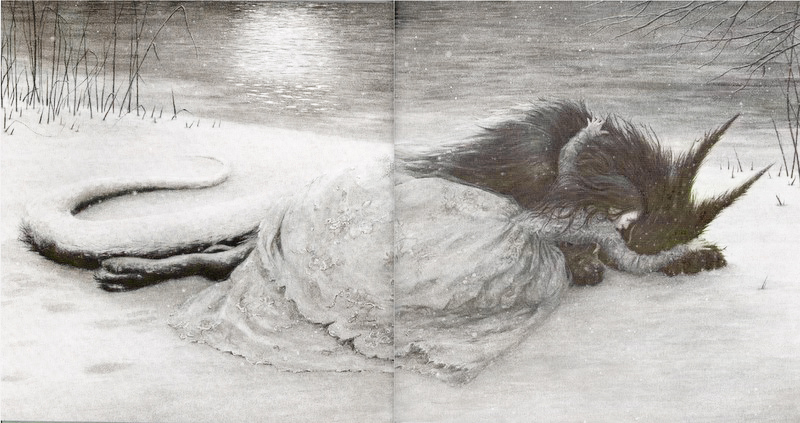 An illustration from Beauty and The Beast, artist Angela Barrett. This picture inspired a whole new tale and an unorthodox ending to another. Sassy girl who tends a labyrinth designed to trap princess inside, check. A princess sold into captivity fighting for freedom and to gain back her throne instead of just sitting around and waiting for her prince, check. A broke prince rescuing princesses for the bounty money, check. Sounds like this is one of my new favourite genres. Of course I’m not sure that my work has quite the edge that deserves a word like ‘punk’, but then again a lot of writers feel themselves inadequate in regards to certain aspects of their writing, so perhaps this is mine? Regardless, I’m having a lot of fun toying with the mythpunk genre(another idea recently popped in my head to be a fun follow-up to Charming that would actually tie a few of the stories together) and don’t see myself abandoning it any time soon. I hadn’t heard of mythpunk before, but that makes sense! Now I really want to read some.